Did I tell you about the time I killed my friend Tim? You can see his name clearly written on the headstone. He had it coming. 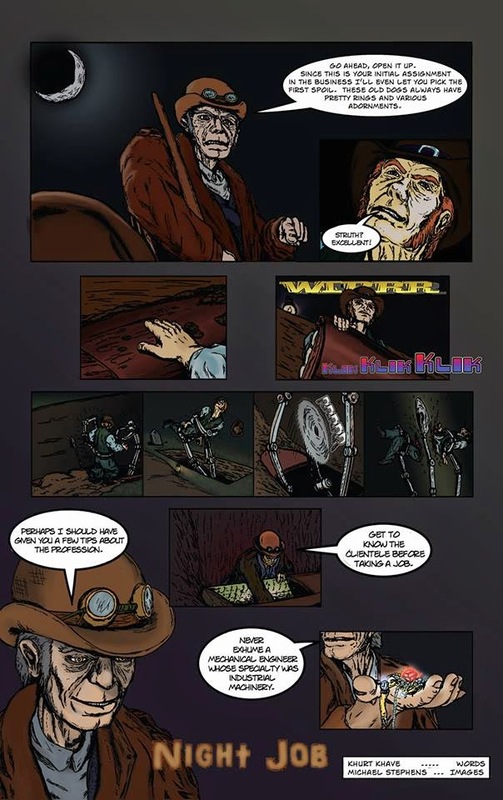 Here is the two page steampunk comic. You can read about the turmoil of working with artists after the comic. There is a steampunk comic anthology called Steampunk Originals put together by Arcana Comics. Part of an eight issue series (only Volumes 1 and 2 are published at this time), I submitted this story for Volume 3. They had a group on Facebook for each volume where you could sign up as a writer, illustrator, inker, or some combination of said positions. I signed up as a writer and quickly got the short two page story approved. Then artists would read the treatment and storyboards and decide if they wanted to illustrate it. I should have known by his poor communication skills that he would be unreliable. And I turned down much better artists afterwards who were interested in doing the work because I wanted to give the guy a chance. The deadline for Volume 3 came and went. Then Volume 4. Then, after politely checking on his progress multiple times, he submitted it the last day for Volume 5. This was a 9 month span to do a two page comic. 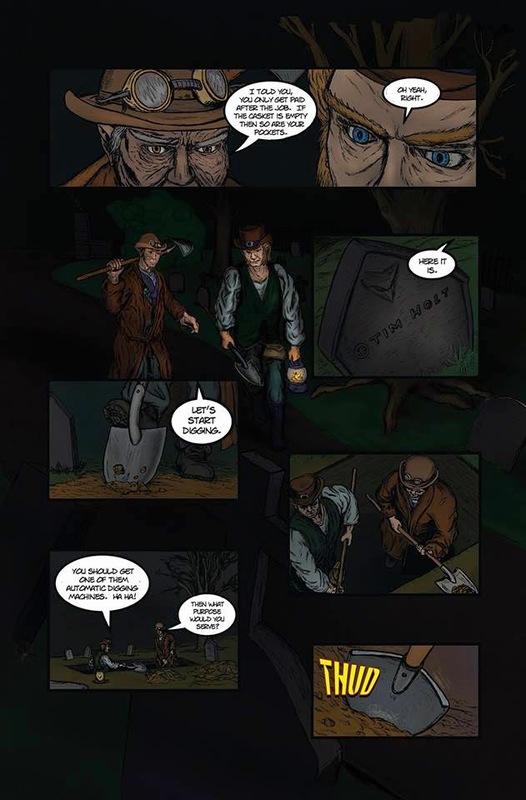 And the inconsistencies between the two pages is so pronounced that of course the comic was rejected. Talk about souring me on working in the comics medium. I think I'll stick with artists that have obviously much more talent and pay them for their superior work rather than try to collaborate again with amateurs who clearly have no desire to actually work in the artistic field. And remember, the Google bot is out there, and it is not a steampunk automaton. It can't be bargained with, though it can be bribed through buying Google ads. It can't be reasoned with. It doesn't feel pity, or remorse, or fear. And absolutely will not stop, ever, until you are dead. But at least Tim still got his. Rest in peace ya dirty varmit.